that. But a flawless face isn't down to gene pool alone - adopt a skincare regimen such as the one outlined below and you'll see just how good your skin can look, both with and without make-up. Below, we asked M.A.C Senior Artist Carol Mackie to spill on how she preps models' skin backstage for a naturally radiant and blemish-free complexion - first time, every time. "It's all in the preparation," Mackie says. "Foundation and concealer can look thick and separate if there's no prep beforehand to ensure the product melts into the skin and looks real." These are her secrets. What do you suggest models eat/drink/apply in the lead-up to fashion week? "Water, water, water! Lots of models are travelling in for Fashion Week and there's nothing worse than flying to dehydrate the skin. 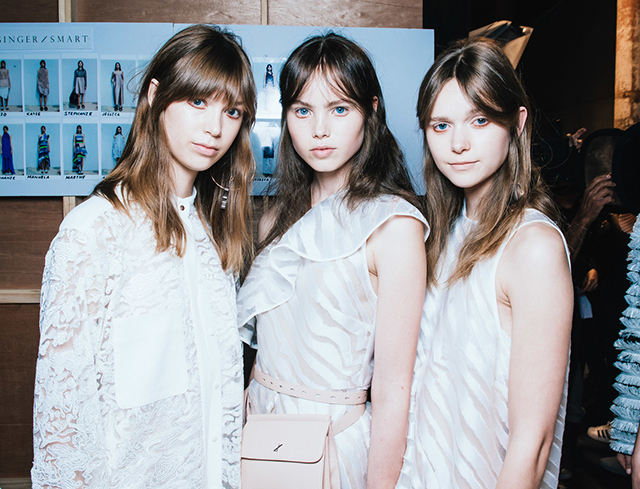 It's essential models really stay hydrated beforehand to help the skin glow from within. Adding lemon to the water aids digestion and supports the liver, which in turn clears up any breakouts on the skin. Cold-pressed juices are also great, packed with live enzymes to nourish the skin. I've worked with experienced models that plan as much as they can in advance. Last minute tests and call times make it difficult to eat healthily on the go, so healthy soups are perfect to prepare in advance, and quick heat up. Healthy snacks on hand - nuts, dried fruit, and swap chocolate for raw cacao for a sweet snack." What products and tools do you use for a flawless finish? "I love to use M.A.C Prep & Prime Softening Lotion before anything else, it really helps to soften and breakdown any surface dryness on the skin and prepare it for moisturiser. Then I apply M.A.C Fix + Hydrating Mist sprayed liberally all over the face and pushed into the skin with a #170 Brush. Applying Fast Response Eye Cream around the eyes helps to reduce any puffiness and allows concealer to glide on, followed by M.A.C Mineralize All over Lotion - a super lightweight moisturiser that restores moisture to the skin instantly; you can use it on your body too! Next I apply M.A.C Mineralize Time Check Lotion as a primer to smooth over the skin and blur out any fine lines and wrinkles and reduce the look of open pores. I then load up the lips with M.A.C Lip Conditioner to nourish and hydrate. I leave this on throughout the make-up application, only dabbing excess off just before applying lip primer, pencil and lipstick." Is primer essential for a good base? "Primers allow the moisturiser that sits below the skin to do its work and keep foundation in place. However it's important to select the right one for the finish you want and for your skin type. 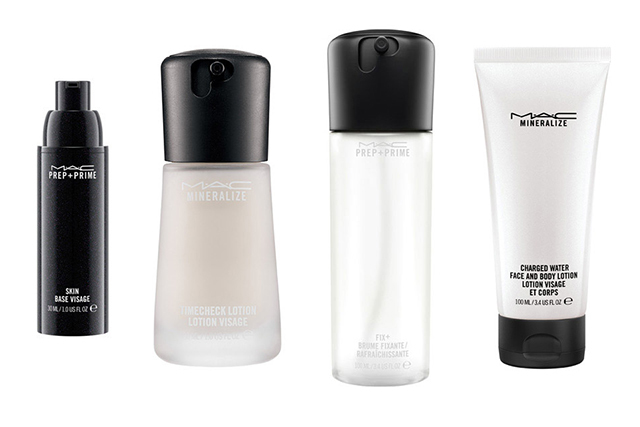 M.A.C Prep & Prime Skin is great for all skin types but perfect for those who want an oil-free primer that improves radiance and reduces redness without clogging the skin. M.A.C Prep & Prime Natural Radiance comes in two shades - yellow for deeper skin tones and pink for fairer skin tones, perfect for brightening duller, sallow skin tones while smoothing the skin."